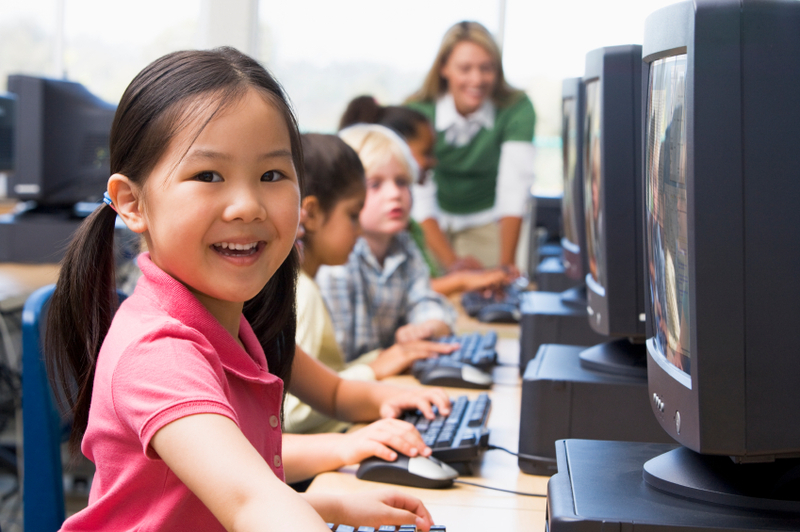 Implement technology geared specifically to a select group of students such as English Language Learners or Special Education. Nearly every school provides education for exceptional populations. Special education students and English language learners bring added challenges to curriculum development and instruction. Research has shown that integrating technology into the educational model for all students proves to be beneficial, as they prepare to live in a technologically advanced world. Online learning can really benefit the special education student. Unlike a traditional classroom setting, online students can work at their own pace on coursework specifically designed for their needs. Prescriptive online assessments determine what standards a student shows a deficiency in and creates customized assignment lists accordingly. These individualized assignment lists allow educators to change and modify settings according to IEP goals and requirements. Adaptive assessments adjust to higher/lower level content according to student performance. These features lead to increased student confidence and achievement. English language learners face challenges that native-speaking students often do not. At times, it is difficult to accurately assess ELL students in various subject areas if the tests are written in English. Often, listening and speaking are the most problematic areas for students who are learning English. A blended learning program, complete with both an online component and a teacher-led component, really helps ELL students, as it incorporates all four major areas of language acquisition: reading, writing, listening, and speaking. Phonics based instruction, based on Orton-Gillingham principles, allows learners of all ages and reading levels the opportunity to acquire and improve their ability to read through intensive, systematic phonics instruction. Through technology and customized learning programs, learners from exceptional populations can be successful and acquire the skills they need as they move toward adulthood.